Rev. Robert Lathan (click image for larger version) was a prominent ARP minister and noted historian who graduated from Erskine College, Due West, S.C. in 1855. 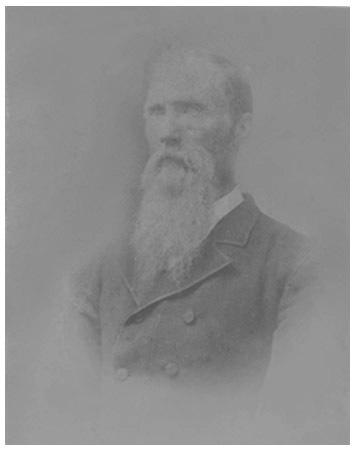 He graduated from Erskine Teological Seminary in 1858, and received an honorary D. D. degree from Westminster College, Pa., in 1881. He was fluent in Hebrew and was known to read the Old Testament from the Hebrew. He was also fluent in Greek and Latin and read the New Testament from both languages. From 1884 to 1894, he was a professor at Erskine Theological Seminary. He wrote and published, "The History of the Associate Reform Synod of the South in 1882"; "A Historical Sketch of Union Associate Reform Presbyterian Church, Chester, SC", in 1888; and "A History of Hopewell Associate Reform Presbyterian Church and It's Pastors" in 1878. During the last two years of his life, 1894 and 1896, he held a pastorate at the Bradley and Cedar Springs Churches in Abbeville, SC. His family consisted of three sons and four daughters. His son, Robert Lathan, Jr. (May 5, 1881-September 26, 1937), was editor of the Charleston News and Courier (1910-1927) and later was editor of the Asheville, NC, Daily Citizen (1927-1937). In 1924, he was awarded a Pulitzer Prize for his editorial, "The Plight of the South", published in the Charleston News Courier on November 4, 1924. A transcribed copy of this and another editorial can be found by going to the main Biographical page and then clicking Robert Lathan, Jr. In 1979, the South Carolina Press Association named him to the Press Hall of Fame. Sources: Records held by George Moore of Chester, SC., "A History of Hopewell Associate Reform Presbyterian Church and It's Pastor's", Lathan family records held by William C. Lathan, Jr. and records held by Mrs. Leila Welch of Birmingham, AL (email me for contact information for Mrs Welch).